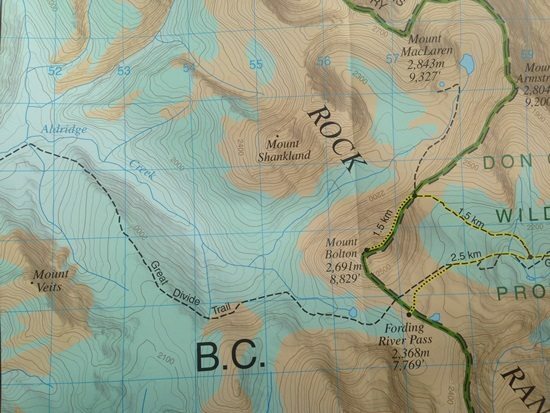 Connectivity and Conservation in B.C. Connectivity & conservation have reached a pivotal moment in British Columbia. Wilderness landscapes face increasing pressure from climate change, habitat destruction, habitat fragmentation and encroachment of industrial activities. Join leaders in the conservation movement Harvey Locke & Jens Wieting as they talk about biodiversity and the importance of connecting wildlife corridors across B.C. Internationally-renowned conservationist Harvey Locke will speak about B.C.’s Flathead River Valley and the role it plays in biodiversity and connecting the Yellowstone to Yukon wildlife corridor. Sierra Club BC’s Jens Wieting will speak about coastal connectivity from the Great Bear Rainforest to Vancouver Island, and conserving forests as one of our best climate solutions. When we talk about the campaign to protect the Flathead, it’s sometimes assumed that the work we’re doing is only within the valley itself. It’s a fair assumption to make because, after all, the campaign is named after it. 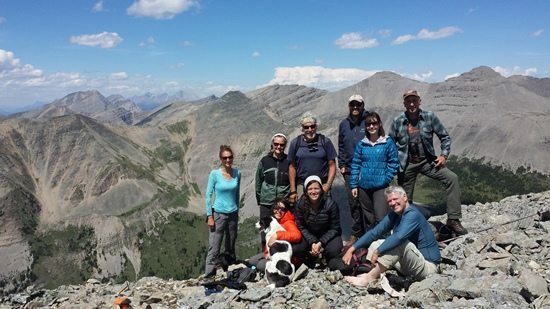 In actuality, the work we’re doing to designate a portion of the Flathead as a national park is only one component of a much bigger conservation vision for B.C.’s southern Rockies. Equally as important as the national park, but talked about much less, is the “Connect it” part of the campaign – the proposed Wildlife Management Area (WMA) that would stretch from Glacier National Park in Montana all the way up to the Rocky Mountain parks through both the Flathead and Elk Valleys. Although a WMA offers less protection than a park, conservation of fish and wildlife and their habitats is given priority, while other compatible land uses may be accommodated. The proposed WMA for the unprotected lands in the Flathead and the Elk Valleys has been an integral part of the Flathead Wild campaign since it began. A WMA is one way for us to ensure wildlife can get from one place to another in a region that’s scattered with obstacles to safe passage. Without it, the various protected areas could become isolated islands in a hostile sea of development, incapable of maintaining viable wildlife populations. Within the proposed WMA corridor, the ‘wildness’ of the landscape changes enormously from one place to another. There are coal mines, towns, forestry operations, ski hills, highways – it’s a very active place, with lots of roads. But, nestled into this fragmented landscape, there are pockets of incredible untouched wilderness that make you feel as if you’ve been transported back in time, and bring you far away from the constant noise and motion of city life. I’ve been lucky enough to experience some of these places in the Elk Valley. Last year, as part of a whirlwind tour around southern B.C. when I first moved out here from Ontario, I spent a week with the Flathead Wild team in a place called the Hornaday Wilderness, which is one of three areas within the WMA that have been identified as candidate Wilderness Areas. This year, again with the Flathead Wild team, I spent a few days exploring another one of these areas, the proposed Weary/Aldridge Wilderness Area in the northern end of the proposed WMA. The trail we hiked, called the Aldridge Creek Trail, is part of a huge, informal network of trails that together make up what’s called the Great Divide Trail, which runs 1,200 kilometres from Waterton National Park all the way up to Kakwa Provincial Park in B.C. Our section of the trail had recently undergone a miraculous transformation, done by the good folks at the Great Divide Trail Association and the Hornaday Wilderness Association, so we didn’t have to fight our way through overgrown Alder or attempt stream crossings through unmarked portions of the trail that got washed out in the big floods of 2013. The hike and the landscape were spectacular. There are no roads in the entire drainage basin, no cutblocks, no motorized trails – very little to indicate anyone had ever been there. One of my big takeaways from this year’s trip was about more than just keeping wild places like Aldridge Creek intact – it was realizing that boundary lines drawn on a map don’t translate well to real lines on the ground. In the picture below, for example, everything behind me is part of the same ecosystem but the basin on the left is in B.C. and to the right is in Alberta – subject to different laws and regulations but still part of the same connected landscape. But where are the warning signs for grizzly bears, telling them they’re protected on one side but not the other? In places like this, with no roads and virtually no human presence, wildlife is able to move around unimpeded and so they do. The trouble is, outside of wilderness areas and protected areas, there can be lot stopping wildlife from getting from point A to point B, so they become more and more limited in where they can go to get food, to find mates, and to raise their young. Without protected or specially managed lands in between these areas, wildlife populations become isolated and will invariably start to decline. And this is the challenge we face in and around the Flathead. We’ve got this patchwork of industrialized areas and then world-class protected areas throughout the region, with space still left around these areas for wildlife movement but no legal framework to guarantee that these spaces will be kept safe. With Alberta recently upping the ante with more protection on their side of the border, it’s more important than ever for us to step it up on our side of the border. The good news is that the B.C. government has just this year started looking at ways to ensure connectivity through the region. But, to really hit it out of the park, we need all the puzzle pieces in place – the WMA and the ‘missing piece’ of Waterton-Glacier. 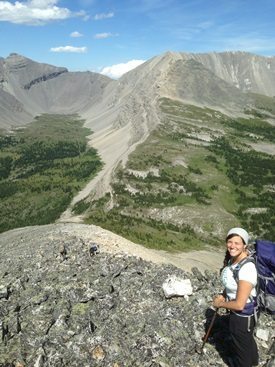 Jessie Corey is the Terrestrial Campaigns Coordinator for CPAWS-BC and works as part of the Flathead Wild team. This blog originally appeared on Flathead Wild. Read the original post here. Read more about Sierra Club BC’s work to protect the Flathead. 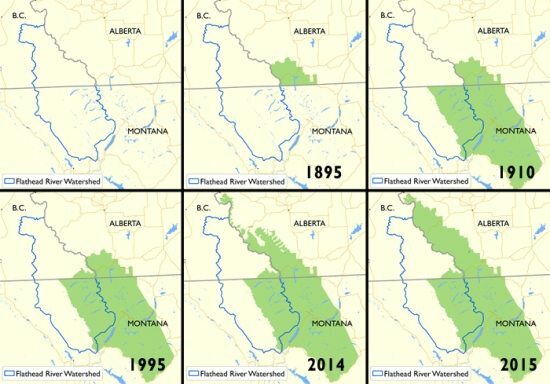 The progression of new protected area designations in the Southern Rockies – only a small portion of the Flathead’s Canadian half has been protected, in Akamina-Kishenina Provincial Park.